This week in Veg: The CSA Returns! | ReLocavore: Redefining "local"
This week in Veg: The CSA Returns! The CSA has returned! This year we will be trying out Your Farm. We hope that their business model – mainly CSA with a stand at the Norwich Farmer’s Market, will be more amenable. 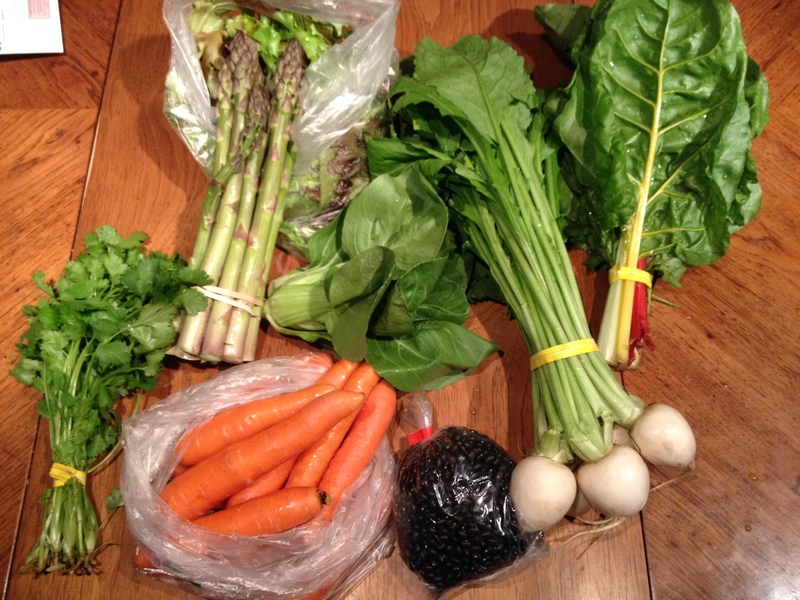 We’re already very happy with them – we signed up with their winter CSA. It does bring up the question – why both a CSA and a garden? I’m a hobby gardener, not a production gardener. This year, we won’t be able to grow enough vegetables for Sam and me to eat. For a few years, at least ,we’ll be supplementing our garden with a CSA.